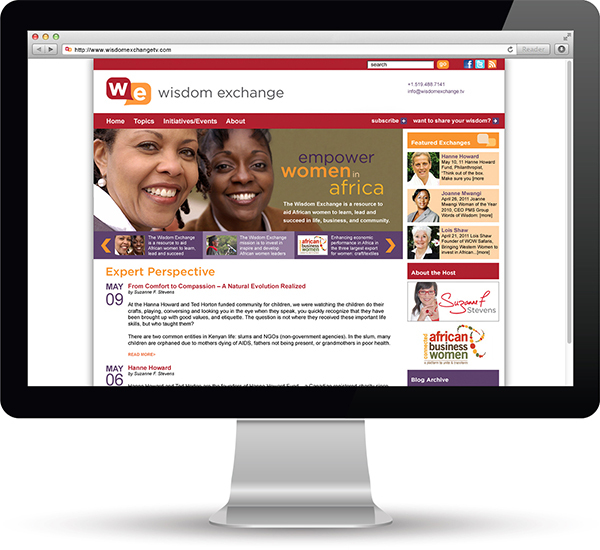 The Wisdom Exchange mission is to invest in, inspire and develop the African women leaders of today for tomorrow. Yet with such a large scope, how could video, social media, and web technology be leveraged to provide access to content – and the creation of a real-world community of interest. This project involved logo and branding design, site design, and our customized SilverSpoke platform. The logo is a brilliant representation of the Wisdom Exchange interviews and conversations. The overlapping speech bubbles use initials from the name, but also combine to represent community. 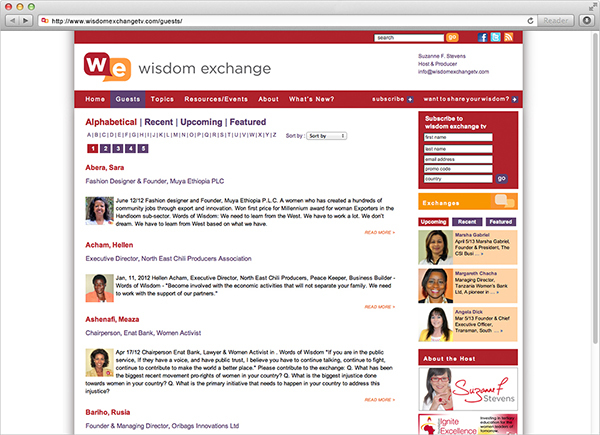 Wisdom Exchange TV was designed as part of a site family with Suzanne F. Stevens. The colours are similar in tone to breed familiarity between the sites. 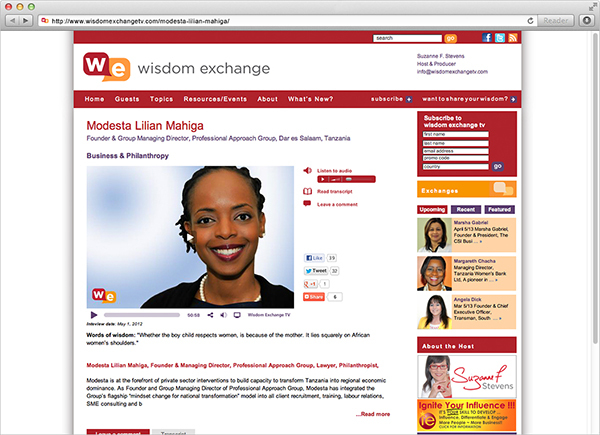 The look of Wisdom Exchange is more corporate and designed to appeal to women. Images of successful women and smiling connections aide in the feeling of community. Unlike other African sites, this design doesn’t use standard stereotypes: the bold colours and clean lines with inspiring images are designed to emote empowerment. We designed and developed the site, and then trained the client on how to manage it on an ongoing basis. 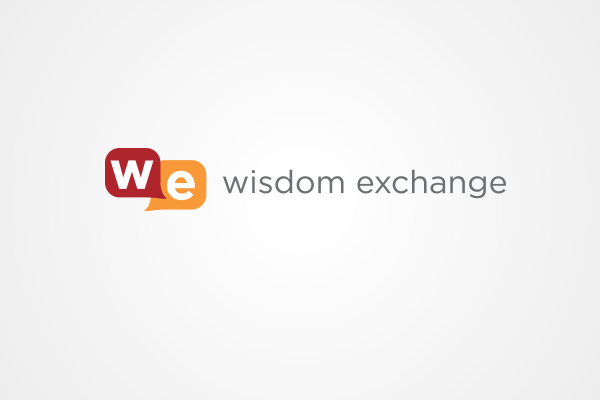 Wisdom Exchange tv is an educational resource with dozens of interviews, expert perspective blog posts and comments. With viewers/readers from across the continent (and in North America), our client has succeeded in developing – and owning – their niche.